I decided a while back to teach my dogs to cross their paws as a trick. 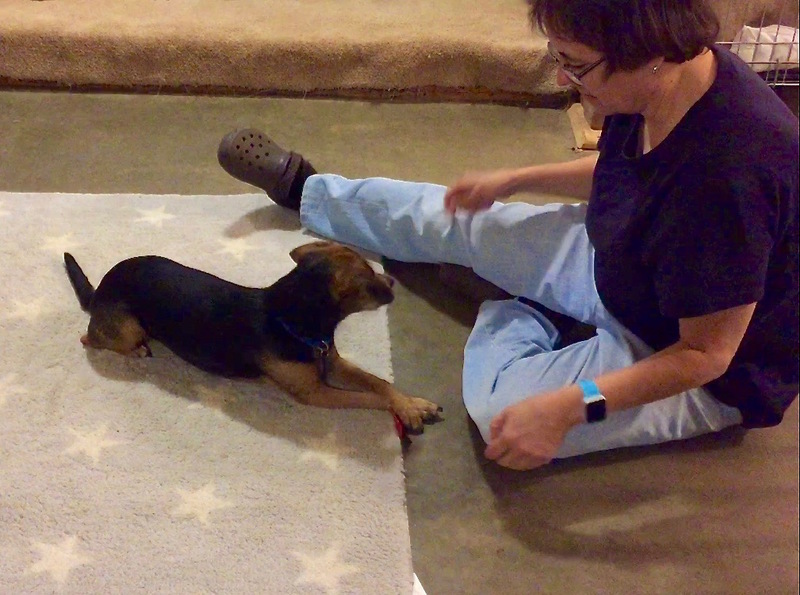 I followed the instructions on one of Emily Larlham’s excellent videos: Dog Tricks Tutorial: Cross Your Paws. But I didn’t end up making the neat, quick progression shown in the movie when I tried it with my dog Summer. I think that besides my rather clumsy training, it is just not a very natural behavior for her. I used a target, and when I finally got the behavior (sometimes), it took a long time before she would repeat it consistently. That’s very unlike most other training experiences I’ve had with her. That created a vicious circle, since one of my weaknesses as a trainer is that I am slow to raise criteria. So between the two of us we stayed at interim behaviors way too long. This entry was posted in Dog Training on March 18, 2016 .